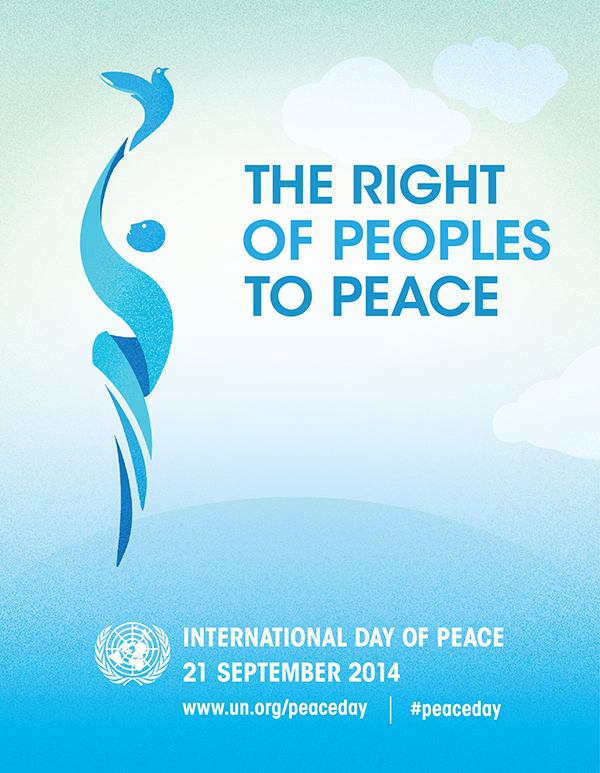 To mark the 30th anniversary of the General Assembly Declaration on the Right of Peoples to Peace , the theme of this year’s International Day of Peace is the “Right of Peoples to Peace”. This anniversary offers a unique opportunity to reaffirm the United Nations commitment to the purposes and principles upon which the Organization was founded. The Declaration on the Right of Peoples to Peace recognizes that the promotion of peace is vital for the full enjoyment of all human rights. In 2001, the General Assembly by unanimous vote adopted resolution 55/282 , which established 21 September as an annual day of non-violence and cease-fire.